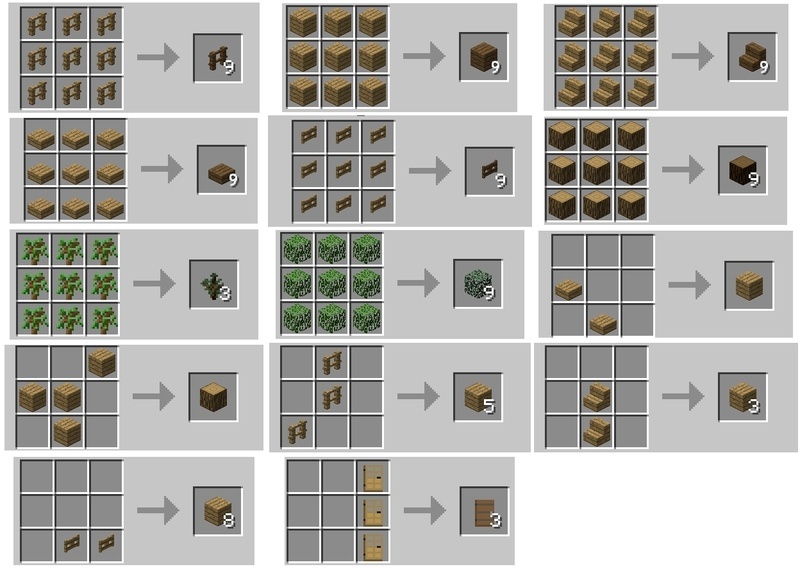 Wood Converter Mod 1.12.2/1.11.2 for Minecraft allows players to convert between types of wood to save time, efforts and resources. When playing Minecraft, I can assure you that any survivors would face the problem of building a house with a certain type of color wood, but it is out of stock and the other types are not suitable. Then, there are three ways to solve it, one is to look for the exact type of wood, while the second is to use whatever you have. The third way seems to be smarter and more convenient, which is using Wood Converter mod. You can download the latest version of the Wood Converter Mod from the link below and follow the instruction to install. Do not forget to check if the mod needs any additional mod to run. Happy gaming! Download Forge Installer, Wood Converter.jar file.